Read more: the best gaming headsets around today. Contrary to reports coming out of Germany’s ComputerBase last week it looks like AMD aren’t going to specifically release new Windows 7 drivers for their brand new processor and motherboard combos. The weakly flickering beacon of hope for Windows 7 gamers is that the new chips have at least been validated on the old OS. That’s not the same as offering the system complete access to all of Ryzen’s techie goodness, but at least proves that a Win7 machine will boot with a Ryzen chip inside. The issue is that any bugs which crop up aren’t going to be patched out in subsequent updates as neither Microsoft or AMD are going to be paying any attention to the old OS guard once the hardware is out in the wild. So we’re back to the old stance of Microsoft, AMD and Intel all stating that if you want the latest hardware you gots to have the latest software too, regardless of whether that’s an arbitrary decision or a technological one. Original story February 2, 2017: Good news everybody! 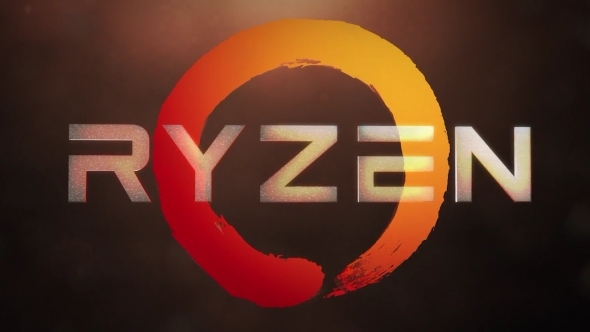 Well, good news for anybody that wants anAMD Ryzen CPUbut can’t stomach upgrading to Windows 10 anyways.AMD have reportedly announcedthey will be providing drivers for Windows 7, everybody’s favourite OS. Windows 7 is still the most prevalent operating system around on desktop computers, covering around 47% of the overall market and a third of Steam gamers. Windows 10 is creeping ever closer to that global total, but at just 25% of the market it’s still a way behind. Gamers however are a more up to date breed, with almost half now running Windows 10. So it makes total sense for AMD to make sure their brand new CPU architecture will at least work on the most widely used OS of today. Microsoft though aren’t supporting Intel’s latest Kaby Lake range of CPUs on any OS below Windows 10, which is a little bizarre. That means you don’t get any security updates for Kaby Lake outside of Windows 10 nor do you get access to the 10-bit HEVC encoding goodness (the only real innovation around the new chips) to get your 4K Netflix and chill on. But AMD announcing they will be releasing drivers for Windows 7 doesn’t necessarily translate into Microsoft supporting Ryzen outside of Windows 10. Microsoft have previously stated they will only be supporting AMD’s next-gen CPUs via Windows 10 so it looks like we’ll have the same situation as with Kaby Lake for AMD’s new Zen designs. But AMD releasing drivers does at least mean the brand new microarchitecture will function on an old Windows 7 machine, even if you can’t necessarily get full MS support. In the end then it’s arguably more important for the manufacturers of the hardware to get driver compatibility with an older operating system than it is for the software folk to continue to support it themselves.